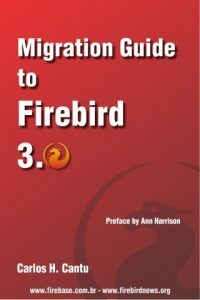 Firebird 3.0.2 Package is uploaded into Firebird 3.0 ppa. Firebird 3.0.2 Package is uploaded into Firebird 3.0 ppa for current ubuntu releases . There are packages for Ubuntu 17.04 (Zesty ), 16.10 (Yakkety) , 16.04 LTS (Xenial) and 14.04 LTS (Trusty). firebird3.0, which is due to be installed in the Debian FTP archive. Follow the Firebird 2.5.x guide for usage and installation. Firebird 3.0 Revision 61479 was uploaded to Debian/experimental. Here you can find the latest stable release Firebird 2.5.2 for all supported Ubuntu releases.